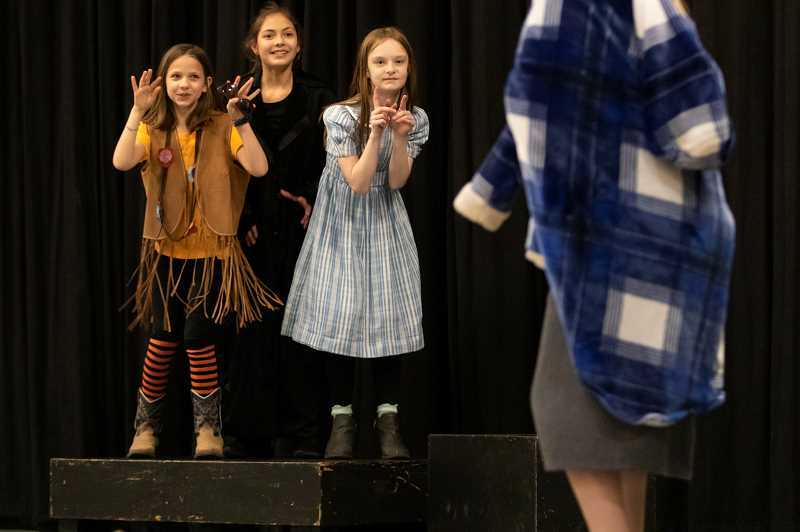 Last week, students from Willamette Primary School learned an entire 60-minute musical, built their set and constructed their costumes, all in five days. 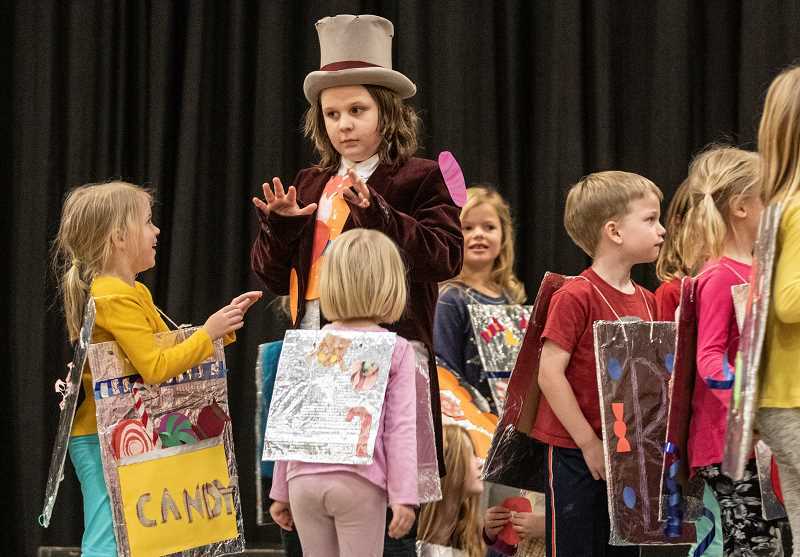 Two directors from Northwest Children's Theater (NWCT) got to Willamette Monday, Jan. 28, and began preparations for the musical, "Roald Dahl's World of Words," which opened Friday Feb. 1. The final showing occurred the following day. NWCT came to Willamette as part of its play lab program, where it travels to schools around the Portland area for one week and helps the students put on a performance by the end of the week. 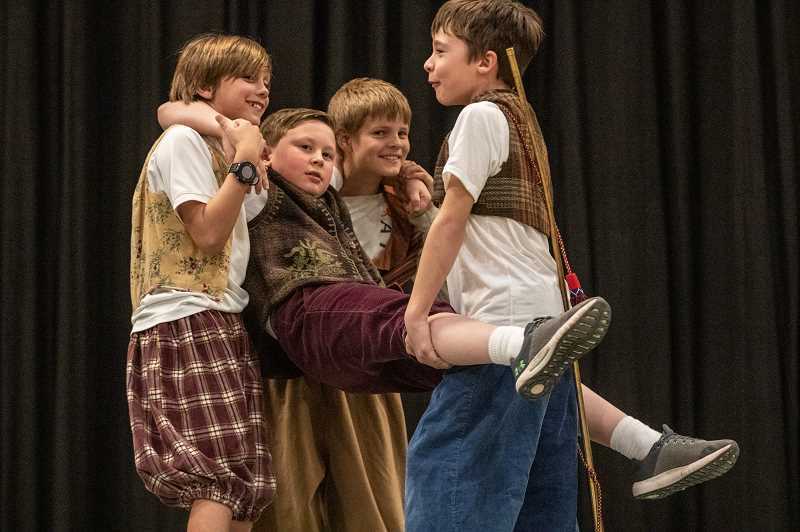 "They'll come in and from start to finish, go from nothing to a full-blown play with costumes and songs and choreography and everything," said Carolyn Wirthlin, co-chair of Willamette Parent Teacher Association's NWCT production committee. "It gets the kids involved in all sorts of different aspects of the play. They're designing their own sets and costumes." While producing an entire play in a single week may seem impossible, the directors from NWCT are pros at it. "It's a process," Wirthlin said. "You start with a song or movement and break it up into little groups and these guys are really good at doing that. It looks chaotic but it's organized chaos." When working with more than 100 seven to 11-year-olds, chaos is inevitable. Third-grader Liv Bain said one of the hardest parts of rehearsal was "staying on track. Kids are talking and being silly a lot." This silliness was fuel for many of the young actors. 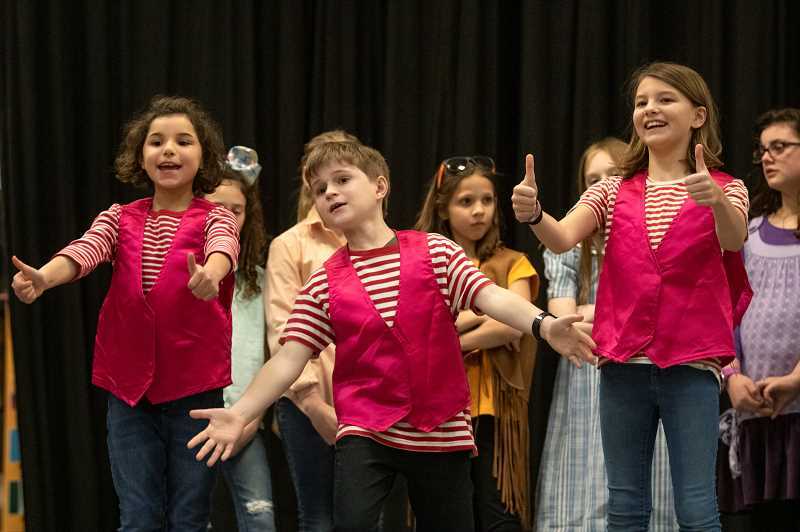 Several students said their favorite part of the play was singing the song, "Minpin Party," because it allowed them to show their goofiness. For many others, the best part of the play was crafting costumes. Through all the fun and silliness, the students got down to business in preparation for Friday's opening show. 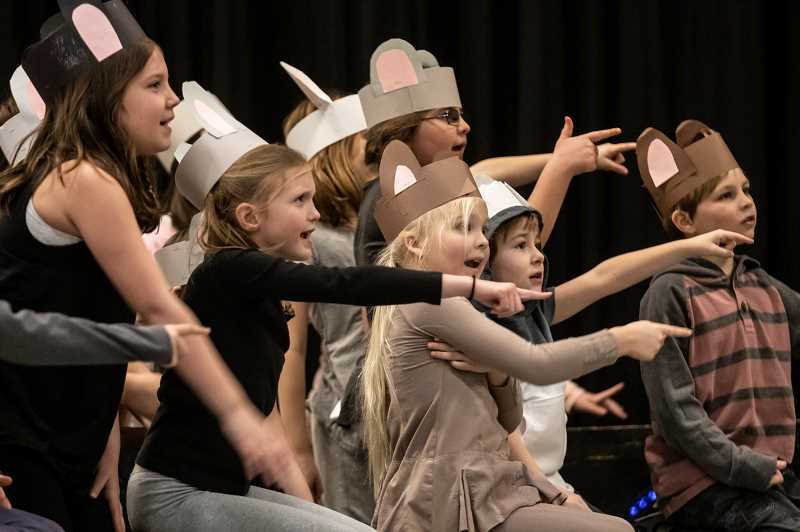 Hadley Atwood, a third-grader who played a Minpin (a creature from Roald Dahl's book of the same name) said, "The song is really long and it's hard to memorize all of it," while second-grader Oliver Kojima, another Minpin, gave his best effort to learn the dances. "You have to be here for a long time and sometimes you get tired," second-grader Victoria Olson said. Still, the long hours of rehearsing, making costumes and constructing the set was well worth it. The students couldn't wait to perform for family and friends. "They have this sense of pride when they're done," Wirthlin said. "Even the littlest part, they're so excited and they get their applause at the end and they have their curtain call and they're so happy with what they've done."